Hey you, yes you cycle cross freak ! if you don't have anything better to do on October 27th come and race your cross bike and have lots of fun !! We will have the best beer and chili in town, as well as good music and lot's of events going on. Kid's race will be at around noon with lots of candies and chocolates to keep them hyper all week !! Dress up and throw down! Beer tent, Chili station, FREE coffee and hot chocolate. 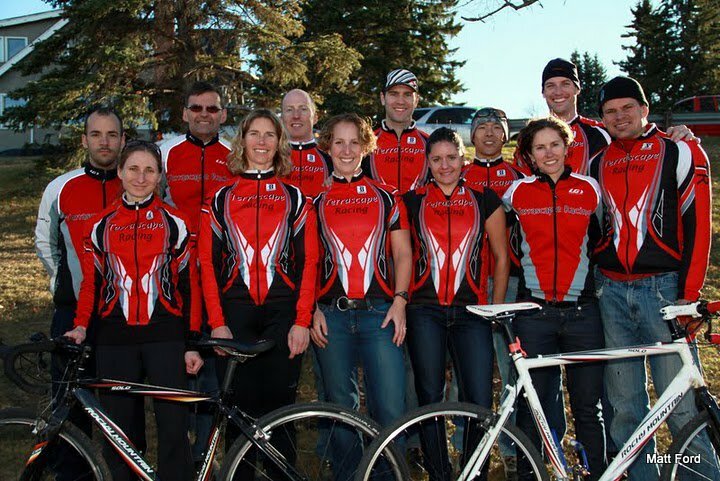 Draw prizes for racers and volunteers including an entry to 2013 Furious3 Fernie! Terrascape is pleased to partner with Transrockies Events to support Kidsport Charity with a raffle for an entry to TR3 or any Transrockies 1-day event. Proceeds going to Kidsport charity $5 per entry or 3 for $10. Welcome to the 7th annual Terrascape Racing Cyclocross Race, the scariest event in the Alberta Cyclocross Cup. Our outstanding venue, as well as the excitement and challenge of our course make it a fan and racer favourite! 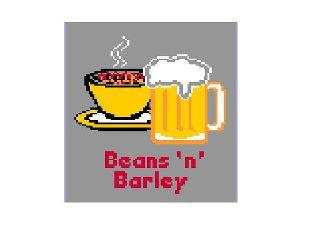 As always, your race entry includes food and beverage: “Beans and Barley” = “chilli + beverage”. The fire-pit will be a popular fan gathering spot given our Alberta weather. The course is about 2.5 km long with 50 metres of climbing. It will be scary suffering as the straight-up climb of the Knobby Gobbler is followed by a white knuckle descent. There will be a prize for best air off of the hump near the finish line. There are lots of grassy off-camber slopes and a few surprises will be added to the map before race day. A mechanical zone will probably be located as indicated. Directions to the Shaganappi Hall & Tennis Club at 2608 - 14 Avenue SW, Calgary (403-246-3535‎) are available here: Directions to Beans & Barley Cross Race. Parking will be along the western and southern edges of the Park and at the school to the southwest. Please respect the community residents. REGISTRATION, LICENSE CHECK , etc. Online registration: http://www.zone4.ca/, before October 26th @ noon. · $10 Single Event Licenses (SEL) are available for Citizen racers. You will be placed into the Sport Men or Open Women’s category. Terrascape will cover the Citizen SEL fees. Ø Entry fee includes socks and post-race food of chilli + a bun + a beverage! · Failure to bring your license may result in a $10 fine. · All racers must have a valid UCI/ABA license or purchase a Single Event License (SEL) at the time of registration for $10. · This event will be run according to ABA/CC/UCI regulations. Racers are expected to know and understand these. They are available here. · Please bring your race license, and cyclocross body numbers. If you do not have body numbers, the ABA will provide those for you on race day. Number position will be posted at sign on. · Cash prizes will be awarded according to depth of field. · Our Beans and Barley commentators will be interviewing race / prime / prize winners. · Fans may also purchase food and drink in the Community Hall. We will have first aid on site at Shaganappi community hall. The nearest hospital is Foothills Medical Centre, 1403 29th St NW. 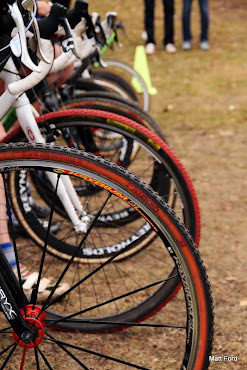 Cyclocross bicycles must be used in the Expert and Elite Men categories. Mountain bikes are permitted in the other categories. Disc brakes are permitted. The bike/wheel pit is marked on the map. A Course Marshal will be stationed at the pit. Please label your equipment and remember to collect it. The ABA and the organizer may shorten races and/or alter the course dependent on weather, time delays and combine categories if necessary. Please know your start time. The course is open for training from 9:00 am to 9:45 am. The course will be closed during all races. Any rider on the course during another category’s race will be fined. Any other opening of the course between races will be at the discretion of the Chief Commissaire. Racers must receive permission at the start line before pre-riding. Helmets must be worn during all riding. Upgrade & AB cyclocross series points will be available to Top 8 finishers in each category as per ABA Schedule (20, 15, 12, 10, 8, 6, 4, 2). Raffle tickets for the TR3/Transrockies event entry will be available for purchase at the Beer Table, in the community hall. $5 per ticket, or 3 tickets for $10. Raffle will be held as soon as possible after the Elite Men’s race. Winner of the TR3 raffle will be contacted if not present. Winners must be present for draw prizes, except for the TR3 Raffle. Draw prizes will be announced/posted following the Women’s race. o Port-a-potties will be located outside the Community Hall. Please use them, not the park. o Please pick up garbage, which includes any gel packs and other items to help us keep the park clean. if you’re a junior, we know who you are. o Alberta Gaming and Liquor Commission regulations will be enforced. o Alcohol can only be consumed in the designated areas; it can not be consumed throughout the park. o Spectators can have alcoholic beverage(s) along the course only in designated areas. o Racers cannot have alcoholic beverage(s) on the course. !!!!!! MORE COWBELLS, PLEASE !!!!! !